A well-manicured lawn is always a pleasure to look at, but when it’s paired with a home that’s thoughtfully designed in a complementary style, the result is truly eye-catching. If you’re looking for ways to match your vinyl siding with your garden, you’ve come to the right place. The most effective way to achieve this look is by choosing plants and flowers that complement the overall design of your home. For homes with light blue siding, try planting flowers with pink buds or white blossoms. You can also fill your entryway with pansies in red and white shades. Vibrant orange shades provide a beautiful contrast to stone siding. Lavender-shaded pansies also “pop” nicely in front of a stone backdrop and can even survive in the winter. Try consulting your siding contractor to learn more options. Turn to siding installation pros A1 Siding and Roofing for your home improvement needs. We are your number-one provider of roofing and siding services. 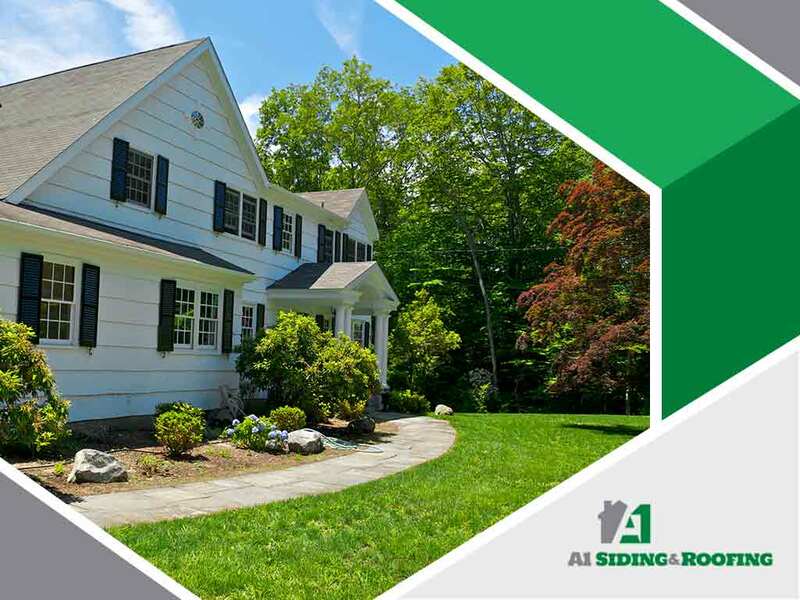 Give us a call at (603) 684-2444 or fill out our contact form to learn more about our services in roofing and siding. We serve clients in Manchester and nearby areas.